MiLTAT RX Collection 'X' is tailor-made for 20mm lug width Rolex sport watches models in 6 digits eg. 116XXX, such as (20mm) Submariner and Explorer. This watch strap was tapered to 16mm buckle size and was designed to fit on the last link of the Rolex Clasp on one side & adjustable screw fixed Rolex links on the other side. 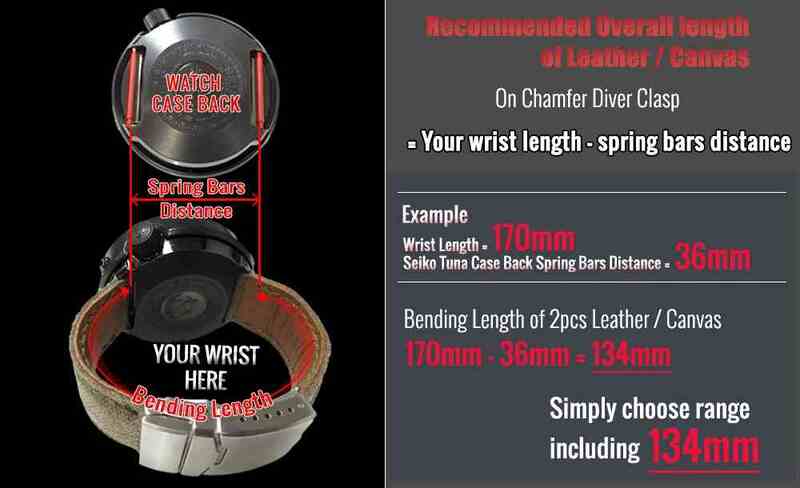 Therefore, there is no limitation on the overall length of the final watch strap as you can add numbers of Rolex links on it to extend the size. This is a breaking through new era to characterize your taste & give your Rolex a unique charm. Revenge End Link - Replacement Watch Strap Tailor-made for Rolex, Matte Black Pull Up Leather, Beige St. Revenge End Link - Replacement Watch Strap Tailor-made for Rolex, Matte Brown Pull Up Leather, Military Green St.